With the instrumental version of ¡MAYDAY!’s Strange Music debut Take Me To Your Leader coming out in just a few days, Wrekonize took to his blog to explain the inspiration behind one of the more emotionally potent tracks on the album, “Due In June”. Wrekonize explains that he actually had the idea for the track several years ago, but decided to put it away for a time when he could give it the time and energy he felt it deserved. He goes on to explain how he and his ¡MAYDAY! bandmates later re-constructed the song, and that it was actually Plex Luthor’s idea to do the follow-up track that appears later in the album, “June”. 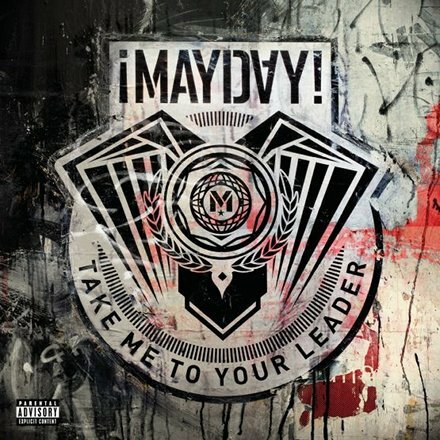 This track has come to be known as one of the most powerful and sometimes controversial songs of not only ¡MAYDAY!’s releases, but possibly the entire Strange Music catalog. Thanks to Wrekonize, we’re left with not only a better understanding of the track, but a whole new appreciation for it. Click HERE to read the entire blog entry. Does Wrek’s explanation help you appreciate the song a bit more? What do you think of the concept behind the track? Are you excited to hear the TMTYL instrumentals? ?